For a generation far removed from the struggles of the freedom movement, Mahatma Gandhi seems to have been reduced to just a face in their history books and on their currency bills. Neither the high flying, tech savvy, middle class Indian on his race to compete with the rest of the world, nor his poor rural counterpart in the struggle to put food on his table, appears to have time to spare this ‘half naked fakir’ or his legacy, a thought. Except perhaps, when – and if – they attend an independence day celebration, no doubt presided over by a local ‘Neta’ who will pay obeisance to a garlanded image of the Mahatma, to further his own political dreams. 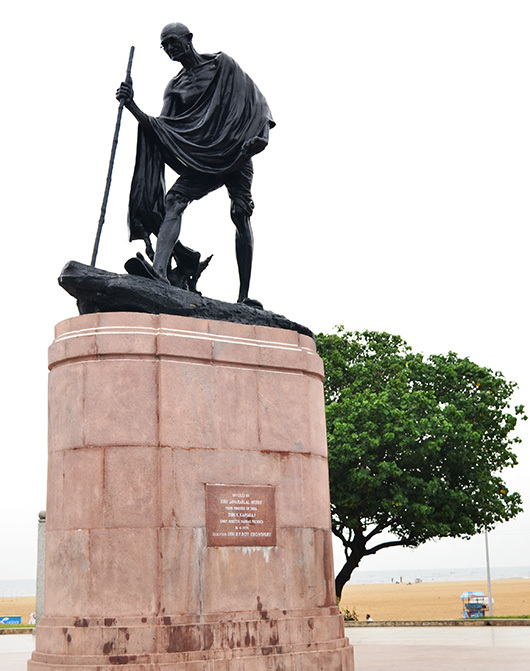 That hijacking his name, and his method of protest, lends legitimacy to every group – left, right or center – should be heartening, for it does imply that underneath all that apathy, lies a conviction that Gandhi was, and will always remain, a standard for exemplary moral behaviour, a beacon for truth and honesty, an apostle for peace. Today, 64 years after his death, on the anniversary of a freedom achieved at the immense human cost of partition, and the certainty of never ending conflict with our neighbour…..in an increasingly violent, selfish and self centred world, I ask myself…..can we “be the change we want to see in the world“? “You must not lose faith in humanity. Happy independence day to all my Indian and (24 hrs too late) to my Pakistani friends. Gosh, Madhu, so much to ponder here. Ghandi is someone every schoolchild here in the UK knows: a figure who gained such respect through peaceful protest, who was filled with words of wisdom which have endured. So thought provoking to hear your perspective. Thank you Kate! Came out more cynical than I intended, but the disconnect between our youth and their legacy is a bit disheartening. Lovely post, Madhu. I love that last quote. Never was a truer word spoken. What a tribute, Madhu, to a man who never lost faith in humanity. Let’s hope we all do our part to prevent those things that will destroy us. Happy Independence Day to you! Great inspiring post. The quote of Gandhi which speaks to me the most is, “Be the change you want to see in the world”. When I first learned about Gandhi back in school, I was captivated by Ahimsa. Maybe because at that time Indonesia was in a such turbulent time, so the idea of a peaceful resistance was very interesting for me. I grew up in an idealistic nation, but I would like to believe that his message is still relevant today. Thank you Bama. Love your choice for the challenge. Gandhi has always been of interest and respect in this country. Thanks for sharing your thoughts. and his enormous determination and patience for peace. Happy independence day your and to Indian! Thank for that post. I needed to be reminded of that quote. A wonderful post that gives much for the reader to ponder. Happy Independence Day to you. His words “you must be the change you wish to see in the world” are embroidered on a pillow I keep on my bed. It’s the first thing I see in the morning and the last I see at night. Beautiful post Madhu! Most inspiring aren’t they? Thank you LuAnn. I noticed little tin pot précis on the TV the last few days – so it wasn’t a surprise when you said people were forgetting – what a tragedy. To have spawned one of the greatest men of the modern era, and for his teachings to have faded from memory so fast. Yes, the disconnect is very disappointing. People don’t seem to realise that patriotism isn’t just about singing a few songs and donning the right colours. Just as ‘culture’ isn’t about ones attire or rituals! His message has been buried amidst the rhetoric. Hijacked, and twisted, then diluted … not uncommon in the world of ‘man’, sad to say. Great post – I love the quotes. Such a wise soul. Being a fellow countryman i understand this. Beautiful post and a picture. Wonderful post, Madhu! …what a legacy! Happy independence day Madhu. A lovely post and tribute to a great man. If only more people could live by his values the world would be a better place. Hoping you had a great day and found some inspiration for the future. I can never hear about it now without thinking of Rushdie after I read the brilliant Midnight’s Children. MC is one of my favourite books. He creates such a brilliant atmosphere that transports you right there. And it was such a clever concept for a novel. I agree, and I’m so interested to hear Madhu say it has more truth than the sanitised stories that have become the popular conception of that time. You know MC was voted the Booker of Bookers a few years ago, on the anniversary of the prize? Yes, I think I did actually hear that (surprisingly in my insulated world), and I currently have a different Rushdie book next to my bedside in Spain that I am re-reading. I think the only comparable author in terms of amazing fantasy mixed with reality that comes to mind for me is Gabriel Garcia Marquez. He’s the master, I think. Though it’s interesting, there are a lot of young Indian writers who’re using similar techniques to great effect. One of my favourites is Vikram Chandra’s ‘Red Earth and Pouring Rain’. I don’t know about younger ones but I have read Chandra – not that particular one, and quite a few others. I am rather partial to Indian authors. Lovely post and we will always remember …. Great post! When our generation is so far removed, the next gen barely know his name and is more of ‘fiction’ to them! I don’t know Frizz. Passive resistance was enough to overthrow Mubarak in Egypt! But Gandhi wasn’t just about non violent protest. His message of respect and tolerance is more important to sustain the freedom gained by Ahimsa. That is what I am bemoaning here. An excellent post and representation of the theme! What a legacy. So sad. Happy Independence Day to you and hoping things will get better in both India and Pakistan as the younger generation learns from our mistakes. Would like to believe that Khaula. But have not much hope. The man on the street wants that I know. But too many people on both sides benefit from the status quo. “Christ gave us the goals and Mahatma Gandhi the tactics”. British musician John Lennon referred to Gandhi when discussing his views on non-violence. Perhaps with all the violence in the world we should look at the teachings of the great man and learn his non-violent methods to achieve our aims. An amazing man with a heart of gold, a mind of brilliance, and a soul of that is pure. We need role models like him in today’s world. Our children needs to know people like him and not the flashy celebrities of t.v. Great post. I am glad I did Ledrake 🙂 It is an accepted fact that Gandhi is greater abroad than in India! We have certainly not embraced his teachings of freedom with responsibility. Far from it. Beautiful post, Madhu. The quote about the things that will destroy us should be required reading in schools everywhere. Thoughtful and moving… Love this. 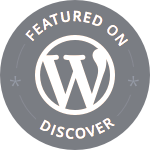 Great post Madhu, and Happy Independence Day to you too – only that I’m 4 days late! Well I think everything you had mentioned finally gets summarized in the last point “be the change that you want to see in this world”. There is no other way out. The system cannot be changed. So we have to stop blaming about stuff that is going around us and just be the change that we want to see. there is a small world around each of us. Just doing a little bit everyday to make that world better or happier is all we need. Too cynical to believe that is quite enough, but one can only try. Thanks Goks! Appreciate the visit and comment. From one Indian to the other ….hello! I would have said “Vanakam” but since you’re on a sabbatical i decided to take the informal route. Loved your Independence Day post.Today Gandhi has become a catchword to garner attention. And most of the avowed Gandhians of the world barely have a coherant idea of all the principles he espoused. Sometimes i wonder if he would have appreciated what Independent India has made of its freedom. But i guess i’m a bit more cynical than you are….cause i think our system has some pretty deep seated flaws that would need another Gandhi to fix. But here’s to India’s 66th birthday…Jai Hind! Did I seem any less cynical? In fact I don’t write about India much because it ends up sounding hopeless and sad! It does seem like we need another messiah to pull us out of the quagmire……but the present lot of would be messiahs seem like a bunch of charlatans. By the way, ‘Namaskara’ would be the right greeting, even if I live in Chennai 🙂 Appreciate your sharing your thoughts and look forward to exploring your Kafkaesque world. I admire Mahatma Gandi and the goals he strove to achieve. His non-violent approach was adopted by The Reverend Martin Luther King. Unfortunately, both were assassinated. I added that quote after I clicked publish Judy! I needed to reaffirm MY faith in humanity! Thank you for your input. Hi Madhu! Thank you for visiting my blog again. I’m not Indian, but I love what Gandhi stood for. When I was in university, I minored in telecommunications and took acting class. For one project, my partner and I acted out a scene from the infamous movie “Gandhi”. I played the part of his wife when she became a bit defiant towards him. I loved that and still remember it. Unfortunately, when it comes to politics, people use whoever or whatever will secure them the most votes. Apparently, Gandhi is that who when it comes to politics in India. I think every country has its “who” whose name will be wholeheartedly used but other times wielded as a tactic just for gain. However, in some hopes, either way it that “who” is used, may it bring about some remembrance or awareness to the people in greater way than it is used for the moment for something even better. What a thoughtful and lovely post, Madhu. Unfortunately, it is the way of heroes. After a generation, their deeds are mostly forgotten and the ideals that they fought for, buried somewhere in the pages of history books which hopefully have not been revised to suit a particular political or social philosophy. Happy you considered this worth reblogging Vijana! Thank you! Whenever I read one of Gandhi’s quotes I get goose bumps … what an advanced soul he is … in my next life I want to be HIM. Mahatma Gandhi was an remarkable man – human, he had everything – the heart, the soul and the wisdom. Love the music – know very little about India – been stranded one night in Bombay between flights from Hong Kong to Frankfurt. Wonderful post. Okay, so the music wasn’t there when you posted. I stumbled on this post by accident and found this important tribute to the Mahatma. I was born a slave and we were all free after one year. I remember in the fiftys my elders complaining that the Raj days were better. They had seen nothing. they will now say if they ever come back that the fifttys were better days, when they see today’s corruption and decay of values, both in Pakistan and in India. While many turn to texting to get answers, I’m still inspired by Ghandi.